In summer there’s nothing better than sitting in your garden and enjoying the sunshine. And when it comes to house hunting in York there’s plenty of garden space to go around for anyone looking to release their inner Alan Titchmarsh. But if you’re after apartments in York without a garden, you don’t have to miss out on time in the great outdoors. To celebrate World Environment Day (June 5th), we’ve collected York’s most iconic green spaces just for you. So anyone looking for a city that can do both (urban bustle + countryside bliss) can find it in York. To prove this bold claim to you, here are York’s most iconic Green Spaces. Enjoy and happy World Environment Day. The Dean’s Park is one of York’s most popular green spaces, due to its location just north of the York Minster. With a popular picnic area, it’s also used for outdoor events and even weddings. It’s a perfect area for exploring some of York’s history, too. The park is home to remnants of stone archways from the 12th century, which are believed to have belonged to the Old Palace. Nowadays the archway is the Kohima Memorial to the British Army’s Second Infantry Division. York locals use the park as a green oasis that’s perfect for relaxing and for fantastic photos of the Minster. In the summer, you’ll often find some light refreshments on offer too, in particular soft drinks and ice cream. If you want a large park that’s just a stone’s throw away from the city centre, Rowntree Park is your best option. It was gifted to York by Rowntree’s (the original creators of KitKat, Smarties and Fruit Pastilles) as a memorial to employees killed in the First World War. Covering 30 acres, the park has recently undergone a £1.8 million refurbishment and boasts many fantastic facilities. Enjoy the woodland walk and tree trails, feed the ducks on the ornamental lake and let the kids run wild at the children’s play area. Another highlight of the park is the Rowntree Park Reading Cafe. As well as local and seasonal food, visitors can borrow from a library of more than 1,000 books. Weekly and monthly groups, free wifi and baby-changing facilities make this a must-visit for families! Another excellent park is Homestead Park, about one and a half miles from the city centre. This was also opened by a Rowntree family member, and is famous for its seasonal floral displays, three gardens, wildflower meadow and woodland area. It’s an excellent place to see a range of wildlife, and you can embark on one of several tree-trail walks during your visit. Small but mighty is the best way to sum up Foxwood Park. It’s a 2.64-acre open space for the public to enjoy and explore local wildlife and fauna. Foxwood Park has been a key part of the local community since 1991 and is maintained by both the City of York and Friends of Foxwood Park. It has a highly popular children’s play area. This 25-acre park is known as being a varied and traditional green space. It’s just one mile from York city centre. Hull Road Park is just off Osbaldwick Beck in Tang Hall and has tennis courts, basketball courts and bike racks with cyclists encouraged to enjoy the mostly level pathways of this particular park. Home to one of York’s community gardens (which was part of the York Dig In campaign of 2014 to increase the number of community-led gardens in the city) Hull Road Park isn’t standing still, as a new café is expected to be opening soon. The Rawcliffe Bar Country Park is just over two miles out of the city centre, but has plenty of public transport options and is worth the journey. It’s home to a bike pump track (That consists of two circular tracks with various challenging jumps, banks and turns. There’s the 70 metre inner track and the less taxing 140 metre outer track) and a popular climbing boulder (3 metres high and 60 square metres of climbing features, which is ideal for both climbing novices and experts). 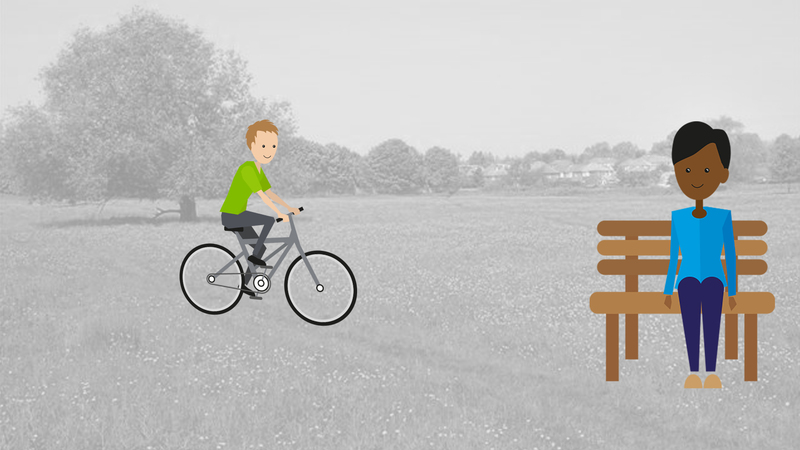 Schools frequently use the park for activity days, so if you have little ones and live in York you’re bound to be hearing tales of Rawcliffe Bar Country Park soon. A less-known gem just in Westfield along Askham Lane is Bachelor Hill. The idyllic grassy slopes house a sandy knoll, which offers panoramic views across the city towards North York Moors. Bachelor Hill is also a nature conservation site that features many different butterfly species. West Bank Park is about half an hour from the town centre. It features a mature woodland, many different bird species and a range of woodland walks to help you delve into the park’s hidden corners. If you’re after some more strenuous activity the park also has two bowling greens, a basketball court and two children’s play areas. Back to the city centre now, we have Tower Garden. This may be a small formal garden, but it was the first public garden in central York. As the name hints at, the Tower Gardens stretch from Clifford’s Tower to the River Ouse. It’s the perfect central green space of the city and also leads you to the city wall walk. 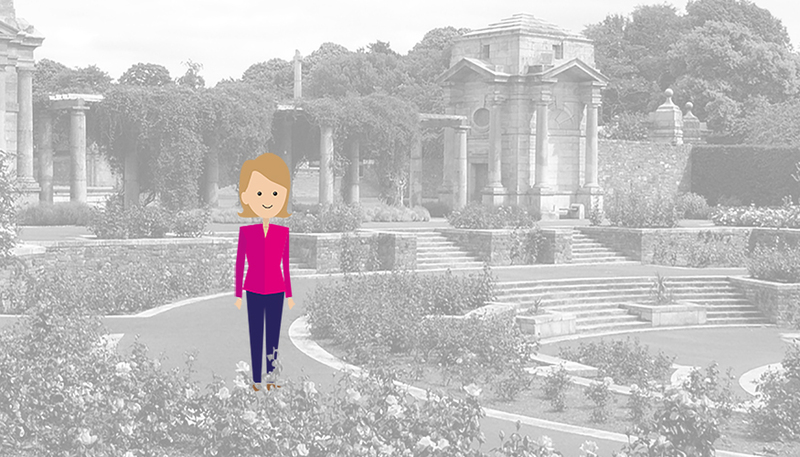 Closest to York train station are the Memorial Gardens, which were first opened in June 1925with a memorial made of Portland stone to commemorate the fallen of World War I, but since also pays tribute to those who died in World War II and the Korean War. It’s a charming lawn garden that shows how much York respects and emphasizes its rich history. Just next door to York District Hospital in the middle of York is Clarence Gardens, which features popular bowling greens and serves as a green breathing space in a busy urban area. There are also formal gardens with rose beds and a newly refurbished children’s play area. Cycling is, however, prohibited in this particular green space of York. Merely one mile east of the city centre is the Glen Gardens, a traditional community and neighbourhood park on Heworth’s main street. This green space encourages visitors to be active outdoors via multiple tennis and basketball courts and a bowling green. The charming rose gardens are fantastic this time of year. Glen Gardens is also home to several fun events and activities for all the family throughout the year, so keep an eye out for the next big event. The four strays of York are green spaces of historical significance unique to the city. Originally owned by the Freemen of York, who used these moor areas for cattle to graze in, the strays have since been acquired and maintained by the City Council of York but their use is still in consultation with the Freemen of the city (who remain the pasture masters of the strays). All four are open to the public and have their own unique features to explore. Micklegate Stray is the largest and most well-known of York’s strays. It’s south-west of the city centre on either side of Tadcaster Road and covers multiple areas (Scarcroft Green, Hob Moor, Little Hob Moor, the Knavesmire. Little Knavesmire and multiple allotments). It’s also the home of York Racecourse. The largest section of this stray is Knavesmire in the eastern area, which is why this stray is locally referred to as The Knavesmire. There’s so much to see in Micklegate Stray including 30 football pitches, a children’s area and Croquet Green on Scarcroft Green, Ovington Cricket Club and Hamilton’s Football Club. If you only have time to explore one stray this World Environment Day, then Micklegate Stray is a highly recommended option. Bootham Stray is north of the city centre and has the very busy Wigginton Road running straight through it. It’s known as the gateway to the country. It perfectly connects the busy city with the traditional grazing areas, because of the link with Wigginton Road. Beyond Wigginton Road the stray opens up to 100 acres of open grassland, which can be explored, though Wellington Boots are highly recommended all year round. This stray is an exact contrast to Micklegate Stray, as it’s core features are the grasslands and access to the country. Monk Stray is a one and half mile thin strip of land that goes from Heworth Green to Monk’s Cross. It’s north-east of the city and is divided into four key areas: a grassy parkland known as Heworth Stray as it’s adjacent to the Heworth Golf Club, the privately owned Heworth Golf Club(as mentioned) and two areas just for cattle grazing. The most relevant area for the public is Heworth Stray as it’s the most accessible section for walks and exploring. Wamlgate Stray is the least visible of the strays, but by no means the least known. It’s also referred to as Low Moor (hence why it’s least visible). The stray covers Low Moor and two sections either side of The Retreat. This stray is south-east of the city centre and can be accessed directly via Heslington Road and through a short boundary on Heslington Lane. World Environment Day isn’t all about parks, gardens and green spaces though. It’s also about how we behave in these spaces. Why not bypass getting in the car or hopping on a bus and instead opt for cycling to get around. 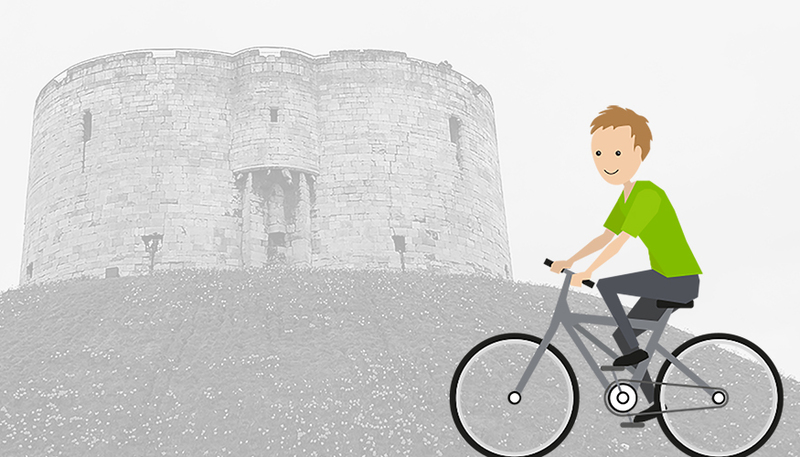 If you’re a budding Chris Froome or Lizzie Armitstead, York is an excellent city for cyclists! Visitors and residents on bikes can get to the outer ring road from the city centre in about 20 minutes. There’s also plenty of cycle parking wherever you go. According to iTravel York, the city now boasts 1,000 cycle parking spaces around the city centre. You can also find about 500 spots at the railway station and 2,500 secure parking spots at local schools. In certain places you can hire a secure locker for added peace of mind. If you prefer to cycle for pleasure, York has you covered. There are several preplanned routes you can follow; these take in local landmarks like Stamford Bridge Viaduct, Heslington Common and Acomb Wood. Each route lasts between an hour to an hour and a half. Routes include a variety of terrain including cycle lanes and off-road paths. This is a great way to take in some beautiful scenery and- quite literally- get off the beaten track! If you’d like to cycle in a group, there’s plenty of options to choose from. There are serious groups for racing cyclists, women-only cycling groups and even a group to help disabled people access the countryside. There are plenty of more casual groups as well; you can find a longer list of groups on this page. If you’re willing to venture a little further out of York, there are some beautiful places to visit. Stillingfleet Lodge Garden is a wildlife-friendly attraction that’s been tended over 40 years. It consists of several individual cottage gardens, a wildlife pond, and a traditional lowland hay meadow, which teems with wildlife. There is also a nursery with unusual plants and a full programme of workshops; topics include growing vegetables, keeping free-range poultry and even digital photography! Breezy Knees Gardens is spread over 20 acres and can be found on York’s Eastern outskirts. It boasts over 6,000 varieties of plants and is open from May to September. Try visiting at different times of the year to enjoy everything it has to offer! You can also enjoy the cafe and specialist nursery, though some areas aren’t suitable for disabled visitors. York Maze is the largest maze the UK has to offer. Built from over a million maize plants, it has over 20 attractions and is the perfect family day out. Go around the bend in the Maze of Illusions. Or hunt for secret rooms in the Mineshaft Maze. You can also crack some codes in the Finger Fortune Maze. There’s also a selection of non-maze activities to enjoy; visit this page for more information. If you really want to take a walk on the wild side, North York Moors National Park is the perfect choice. Visitors can enjoy heather moorland, sprawling woodlands and remnants of ancient civilisations. Whatever kind of environment you want to explore, this national park can oblige. As you can see, York is the perfect city to celebrate World Environment Day as it champions green spaces across the city and further out, too. So whether you’re after houses with gardens or apartments in York, there are plenty of chances to enjoy the outdoors. And at Quantum we use our expert property and area knowledge to find the perfect home for you. Whatever you’re looking for, your dream home is closer than you think. Browse our apartments in York to let or give us a call today on 01904 631631 for more information on finding your next home in York.